Sumner Lifeboat crew are on-call 24/7, 365 days a year to attend incidents on the coast or out at sea. A callout could be anything from assisting a sinking yacht, to searching for a missing surfer, to evacuating a sick person by sea from a remote coastal location. Our fleet of vessels is equipped to handle rescues close to shore in big surf through to night-time missions going miles offshore. 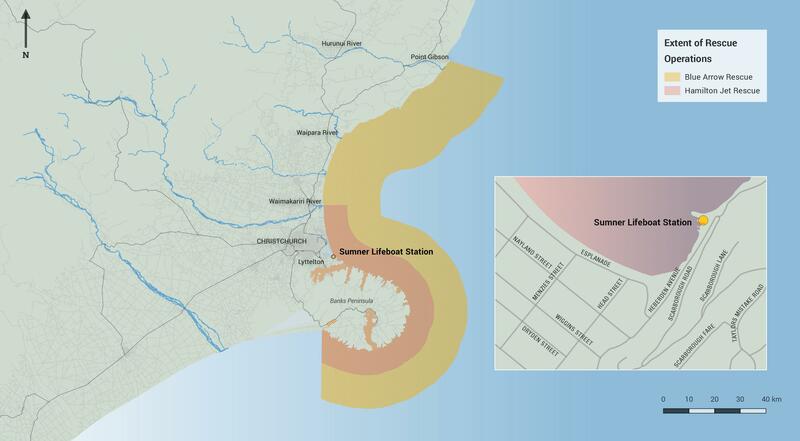 Sumner Lifeboat Institution is a volunteer organisation and is a registered New Zealand charity. We currently have over 35 volunteer crew, from trainees through to professional mariners. In 2018, the volunteers put in a staggering 6,000+ hours of their time. All backgrounds – builders, lawyers, engineers, IT experts, medics, students, through to commercial skippers – one goal: helping save lives at sea. Sumner Lifeboat Institution depends on donations, grants and bequests. About 90% of our annual income is from donations. We need funds to operate – to purchase everything from fuel to first aid kits, safety equipment for crew, insurance, and many consumables. Plus vessel, building, and slipway maintenance make regular calls on our funds. One way to help us is to make a donation. You can also assist by providing products or services. Please contact us for ways of supporting Sumner Lifeboat – financially or otherwise – we’d love to hear from you. 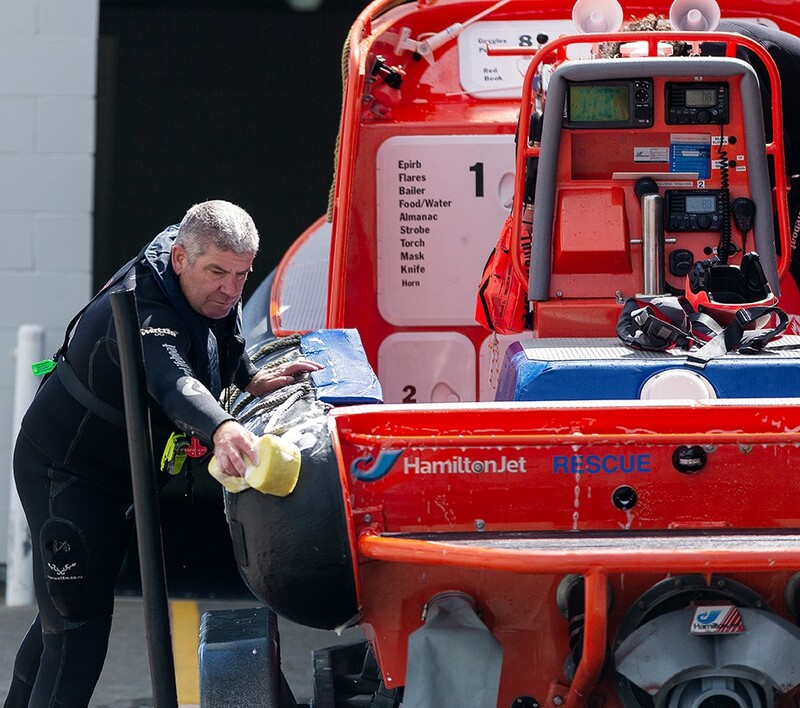 We have three vessels: Southern Trust Rescue, Hamilton Jet Rescue, and Blue Arrow Rescue – our all-weather long range lifeboat. We cover over 4,500km2 of coastal waters, from Port Gibson just north of the mouth of the Hurunui River, to southwest of Banks Peninsula, near Birdlings Flat. View our chart showing the area of operation. 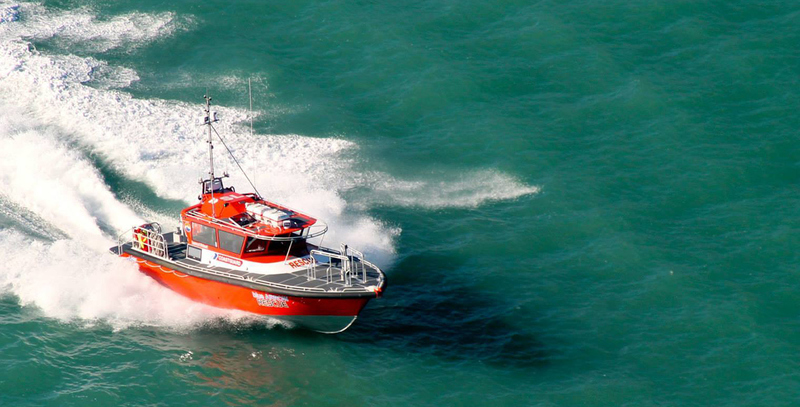 Our crew are trained on all three vessels to cover everything from local rescues off Scarborough beach to assisting boats in distress at night miles offshore. All Sumner Lifeboat volunteers are trained under the framework of the Coastguard Rescue Vessel Training Programme. They develop their specialist skills through training in our local waters and must regularly do refresher training to keep up-to-date. Sumner Lifeboat Institution is a founding and active member of Coastguard New Zealand; it is a unit of Coastguard Southern Region, and is one of 63 Coastguard units around New Zealand.